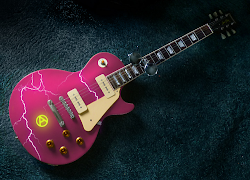 Boasting 21st century technology as early as the 1980s, the German company Shadow powerfully marketed a range of guitar-related products through the era of spandex and headbands. With a range running from a well-established assortment of innovative guitar pickups, right up to complete guitars like the SHP-01 (electric solid with acoustic sound), and the SH1 (Superstrat with both passive and active capabilities), Shadow made big noises in the ’eighties. But it was the brand’s very high-profile venture into guitar synthesis that perhaps proved most interesting. In the mid ’eighties, guitar synthesis was a big thing, with a number of eager firms fighting to get into the market. Surprising really, since almost all of the big trends in guitar playing centred around the instrument’s conventional sound and feel. An almighty commercial brawl to dominate the world of distortion pedals for poodle-haired rawk-gods in circulation-stopping pants, you could understand. But who were guitar synths really for? You saw them advertised everywhere. But did you ever meet a guitarist who actually wanted or used one? Nope. It was hard enough to find a dealer who wanted to give a guitar synth any display space! Nevertheless, numerous manufacturers did see guitar synthesis as the future and were prepared to invest heavily in it. And whilst the Synthaxe and Stepp systems focused on integrated packages (i.e. complete instruments built as guitar synths from the ground up), rivals such as Roland and Shadow recognised the appeal of letting guitarists keep their beloved existing axes, and simply converting the guitars’ output to digital data, which could then drive a synth module. The latter approach was a compromise, because conversion introduced latency – a short delay between the picking and the sounding of each note. But it seemed that the majority of guitar-synthesists would rather suffer that latency than be seen with some wacko-looking contraption that appeared to have floated straight off the set of Doctor Who. Conversion was also a much cheaper route to guitar synthesis than an integrated design, and that seemed more compatible with the market, which, afterall, was predominantly young and not exactly rolling in money. Shadow was keen to supply that need, and indeed by the late ‘80s represented the most cost-effective way for a guitarist with no existing synth gear, to step onto the road of serious, dedicated guitar synthesis. The hub of Shadow’s guitar synth offerings was the SH22 module / floor pedal unit. This was the sound engine, and in fairness, a pretty basic one in terms of its sonic architecture. It was, predictably for its time, derived from the Yamaha FM system of tone production, and featured just four digital operators, giving the same kind of sonic power as a Yamaha DX100 mini-synth. But unlike the DX100, the SH22 was not programmable, so the 300 presets supplied were non-negotiable. Again, to be fair, guitarists were absolutely NOT known for faffing about with digital parameters (and in truth, neither were a lot of keyboard players by the mid to late ’80s) – so any programmability would have gone largely untapped. But patch editing was still a feature the SH22 didn’t have, so whilst the £350-ish retail price looked very attractive at first glance, you were only really getting what you paid for. 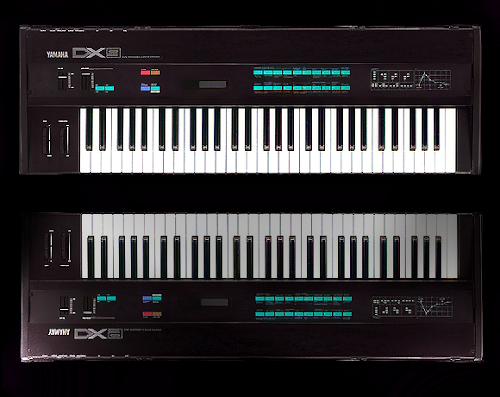 As a comparison, the Yamaha DX100 was originally priced at £349, and it also had a keyboard, so it was a self-contained, as well as programmable, instrument. There would then need to be a conversion system in place to translate the guitar’s string plucks into digital data, for input to the SH22. Shadow offered various conversion options, depending on the user’s needs. 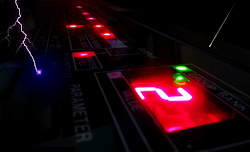 In 1986, Shadow were majoring on the GTM6 Guitar to MIDI Converter. 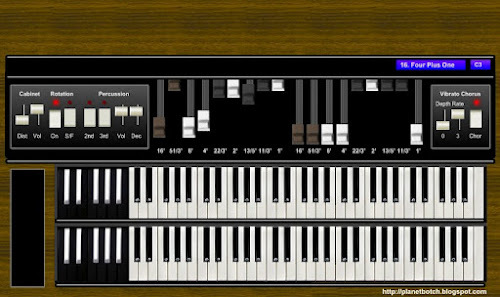 This all-singing, all-dancing device (later hyphenated in UK ads to read as GTM-6) took a standard quarter inch jack plug straight from the guitar, converted the signal to MIDI at a minimum rate of 6 milliseconds, and then offered all manner of playing modes and functions, including a sequencer. There were multiple MIDI outputs, plus outputs for both electric and piezo-equipped acoustic guitar signals, footpedal inputs, etc, etc. As is evident in the ad shown above, the GTM-6 was able to boast a long list of celebrity users, including Lee Ritenour, Steve Morse, Nancy Wilson and Heart, Mark O’Connor, Al Di Meola, Phil Upchurch, Alex Lifeson, Peter Gabriel, the Kenny Rogers Band, Trevor Rabin, Earl Klugh and Larry Coryell. A fair number of these pro’s were probably attracted to Shadow through the company’s core business of cutting-edge piezo acoustic guitar pickups, and indeed the GTM-6 design was typically used with acoustic guitars. But it was, nevertheless, a pretty extensive and impressive collection of names to have backing a guitar synthesis system. The 1986 ads I’ve found for the GTM6 promote the conversion system only, with the choice of sound generation module (the actual synth) left to the player. But the following year, Shadow made a targeted play for the centre of the amateur market by throwing the cheap and cheerful SH22 synth engine into the mix, and then promoting it alongside a range of converters. In addition to the GTM-6, there was the SH27 converter. This was a pedal-equipped floor unit which looked very similar to the SH22 synth, but it also required a dedicated pickup and multiplexer system to be fitted to the guitar, in the shape of the 1550 MU. So this was a three-part system. You had a pickup and multiplexer on the instrument itself, then a converter on the floor, and then a separate box again for the synth. Finally, there was the cheapest option of all: the SH075 Quick Mount converter. At a UK retail price of £350, this entirely guitar-mounted converter did everything necessary to link your guitar with the SH22 synth. So this was a two-stage system which could be bought for £675 in total, assuming you already had the guitar, that is. For a dedicated conversion and guitar synthesis system, the SH075/SH22 was the most inexpensive serious option of its time. So you had a highly capable and innovative manufacturer, good marketing, a market-busting price… What went wrong?… Well, the reality was that there just wasn’t the interest in guitar synthesis to feed a big array of rival manufacturers. 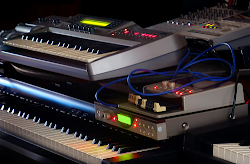 Roland had taken the ‘industry standard’ ground, Casio then got particularly aggressive at the budget end of the market, and anyone outside of those territories was taking a huge risk pumping more money into development and marketing. Massive investments like the Synthaxe and Stepp were looking dead on their feet by 1988, so any company which could diversify away from guitar synthesis seemed well advised to do so. By the second half of ’88, Shadow had switched its main promotions in the UK music press from guitar synthesis to conventional, if still innovative guitars. That exact moment in time was almost like the bursting of the dot com bubble in the world of guitar synthesis. Yes, there was room for guitar synthesis – but it wasn’t going to take over the world, and anyone looking at the situation from a real guitarist’s viewpoint could see why. A guitarist would want to invest the bulk of his/her money in frontline gear. But guitar synthesis most typically contradicted that notion. It represented a very high percentage of a guitarist’s financial outlay, for what would usually be a very low percentage of his/her musical output. Hardly any guitarists would use a guitar synth on every track. It was something they’d more realistically use once or twice in a whole set – if they were in the mood. That was fine for stars with unlimited funds at their disposal, but for the mere mortals, it would make a lot more sense to put the cash where it was going to count.